Announcing the Inaugural Dorothy Carter Writer-in-Residence – Kwame Alexander! Next month, Kwame will begin working with the 9s/10s on their poetry for six weeks, from early April through mid-May. Bank Street College is establishing an endowment to continue this residency in the name of Dorothy Carter, a children’s book author, a Broadway actress, the first African-American member of the Bank Street College graduate faculty, and a leader of the Bank Street Writers Lab. 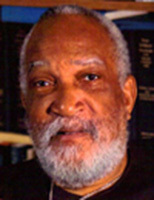 We lost Dr. Carter in 2012, but her legacy will live on through the Dorothy Carter Writer-in-Residence program. 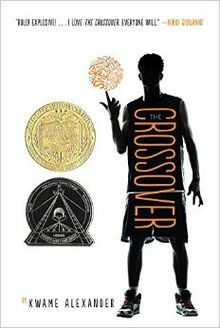 It is fortuitous that Kwame Alexander will inaugurate this program–not only because he is the winner of the 2015 Newbery Medal, but also because his father, who graduated from Bank Street College Graduate School of Education in 1970, worked directly with Dorothy Carter in the Harlem Institute for Teachers. The Bank Street Community is thrilled that he will be sharing his gifts with our students and teachers in the School for Children, the Graduate Faculty, and the New York City community at large. Kwame will be kicking off his Dorothy Carter Writer-in-Residency with an evening event together with his father, Dr. E. Curtis Alexander. Join us here at Bank Street on Monday, April 6, 2015 from 6:30-7:30PM for Doing the Write Thing, 1969-2015: A Literary Legacy Conversation Between Kwame Alexander, 2015 Newbery Medalist, and his father, Dr. E. Curtis Alexander (GS ’70), moderated by Leonard S. Marcus, historian and author of Margaret Wise Brown: Awakened by the Moon.